It is a private owned picnic spot charging about Rs.150/- per person (Price may have changed) spread over 200 acres of natural green land very near to Bhayander Railway Station in West (Mumbai Suburb) on the same road which goes to Essel world and Water Kingdom. During January 2014, Keshav Srushti achieved its unique space in Guinness World Record by organizing a ‘Solar Oven Cooking Class’ which has 3639 participants and was the largest of the time. Srushti has everything ready for a picnic group to enjoy looking for a day picnic at farms near nature with lush greenery. It has small hills, beautiful streams, gardens, animal shelter (Gaushala) and those rarely found fresh water ponds with lotus flowers and other natural life, And not to miss those acres of mango and coconut tree plantations. 3 Temple to meditate (Hanuman, Shiva, Datta). Fun and gaming options for children. Snack and Lunch, Eat and have fun. A nice playground for picnic group. An ideal picnic spot with Camping facilities. Keshav Srushti Mahovsav is a yearly family and group event held in January. Focused on various cultural and other activities like sports, Science and Farming etc a social togetherness can be seen with thousands of citizens participating in this event which is Fun, Knowledge, Social and Entertainment with various activities and well being programs. Advance booking needed, 15 days prior you should plan your picnic here. No non veg food, alcohol and smoking allowed. No loud music or any musical instruments allowed. 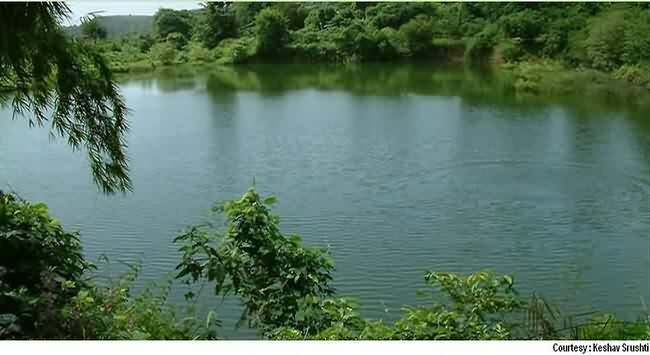 Land Mark: This place comes on the way towards Essel World by road from Bhayander Station West. By Road : If you coming from Mumbai, Get on to National Highway 8 (Mumbai Ahmedabad), take left from Mira Bhayander Road (Kashi-Mira). Take the flyover towards west and follow the Essel World Sign Boards. You can take your private vehicle with your picnic group. Direct buses from Mumbai are not available, Still there are few buses to reach Bhayander station from few city locations. Alternately, take private auto from Station towards Uttan village. By Railway : Nearest station to reach Keshav Srushti is Bhayander on western railway route. It is far north end of Mumbai city boundaries. It is 11.4 Km from railway station taking about 30 minutes road journey. 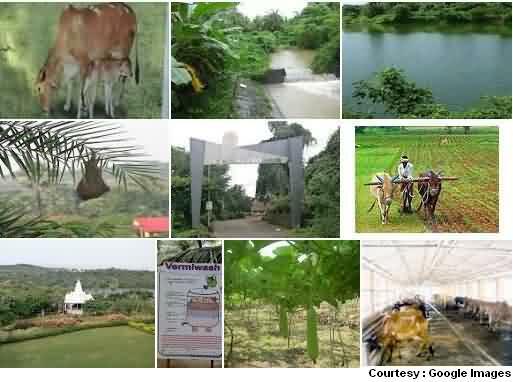 Also Recommended : Similar yet very different experience with nature can be experienced at Saguna Baug Farms near Neral.